Losing your hair can be stressful, discouraging and down right depressing. In my book I encourage you on what may seem like a dead end and help to guide you along the path of hope and hair regrowth. 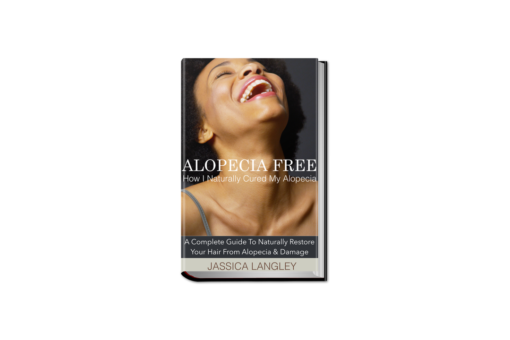 In the book I answer questions like “I have a bald spot, what do I do?” I guide you deeper into your hair journey by helping you to find out why you are losing your hair and what to do next. I discuss what products are best for regrowing your hair and what products to stay away from and why. Discover how to build a successful hair growth regimen and so much more! Chapter 1 – It’s Just Hair! Chapter 2 – I’m Losing My Hair, What Do I do? Chapter 3 – Phase 1: Why Am I Losing My Hair? Chapter 4 – How Do I Get My Hair To Grow Back? Chapter 5 – Phase 2: What Products Should I Use For Hair Growth?